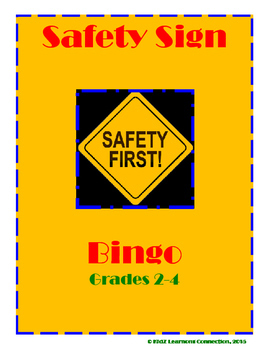 This activity provides a fun way to teach students the importance of reading and following safety signs along the roadway and in buildings. 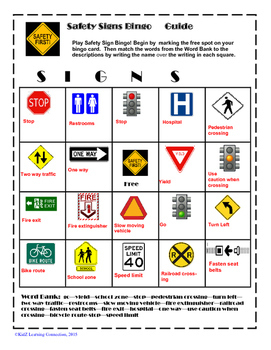 This activity is one to include when teaching pedestrian and bicycle safety units. 1. As an introduction to bicycle and pedestrian safety lessons. 2. As a pre and post assessment. 3. On the Smartboard - play bingo as a class! 4. As a scavenger hunt activity. 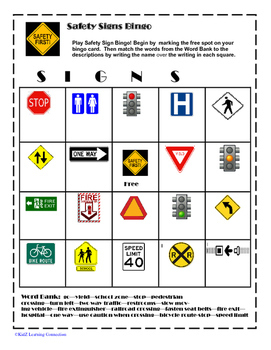 Challenge students to mark the signs as they find them in their neighborhood.